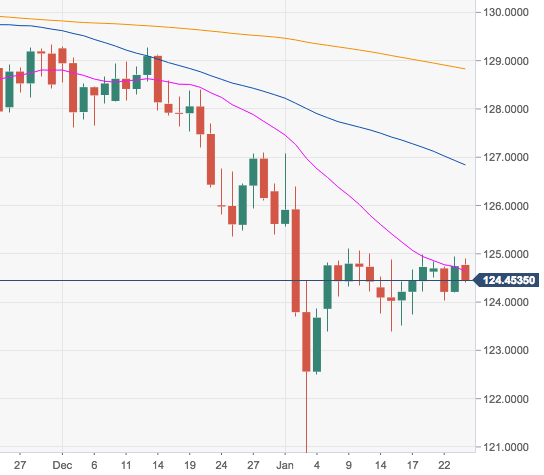 The multi-session consolidative theme in EUR/JPY is poised to continue for the time being, always below the strong up barrier at 125.00 the figure. This important area of resistance is also supported by 124.91 (August 2018 low) and recent unsuccessful bullish attempts. As long as this area caps the upside, a pullback to, initially, 123.39 (low January 15) should remain on the cards.